As a satellite installer, you depend upon your equipment and tools each day. Defective products purchased from auction sites or overstock companies can push your installs back. Your customers see no value in that! This is why you need to join the Signal Connect installer network. Membership gives you access to the most reliable and advanced satellite TV installation equipment available. “Solid Signal is a lifesaver!” That’s how many of our installer partners describe us. Why? It all comes down to satellite TV installation equipment. We have what you need. And as our partner, you have full access to Solid Signal’s warehouse of the latest satellite dishes, receivers, and other equipment. 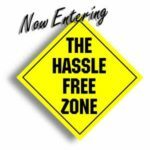 Done any DIRECTV 4K upgrades lately? When you do, you’ll be glad to be part of our team. We’re your source for the DIRECTV HR54 Genie DVR and the DIRECTV 4K Genie Mini Client, which are needed to enjoy 4K programming. You’ll also have access to our expertise. Let our team of professionals help guide you through these exciting and profitable 4K installations. A $15 meter is good for a do-it-yourself who wants to cut the cord. But you’re a satellite TV professional. Your job requires top quality, installer-grade meters, splitters, and test equipment, including spectrum analyzers and dish signal pointers. Solid Signal is your connection. We also have a full line of satellite installation tools including wire, cable, cable clips and other tools of your trade. The more satellite TV installations you do, the more successful you are. With one call to us, we help you finish more jobs each day. How? By connecting your clients to DIRECTV so you don’t have to worry about it. We also service your customers after the sale, which lets you move on to your next installation. Your clients are in good hands when Signal Connect has your back! Join the Signal Connect Support Network Today! 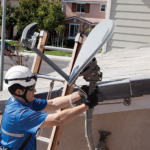 Independent satellite TV installers in today’s market need allies. Signal Connect wants you to be our partner in success. To join our growing group of DIRECTV installers, just fill out our online form below. You also can call us directly at 866-726-4182.